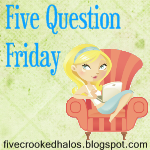 Now, we all know that no Friday is complete unless you've answered Mama M's Five Question Friday questions... 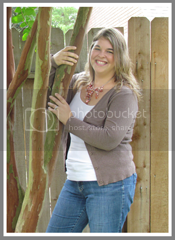 So, head on over to her blog, answer the Q's and link up! Oh, and the word on the street is that if 100 people link up today, Mama will be doing a giveaway! I honestly do not want to answer this question. I was almost out of my teens when I did something very stupid and immature that I regret to this day. I am not proud of the decisions that were made. Let's just say it's not something many people know about, only close friends and immediate family. So, it's going to stay that way! Sorry guys! Well, right now I am neither. I usually get up pretty early for work and I don't mind it. I love to work earlier and get out earlier than have to stay and work late. But, I'm so tired in the evenings, that I can't usually stay up past 10. One-handed... no keyboard for me! 4. Democrat, Republican or Independent? Really? Do I even NEED to answer this? This is a HUUUGE yes! My pets are my children. I would do anything for them. ANYTHING. Animals make this world a better place and make life happier to live. As my Papa always said, "Every child deserves a dog." He is so right! I love Texan Democrats--takes guts to be a Dem in that state :) (unless you live in Austin--it's a little island of blue in sea of red!) I'm more independent than Dem anymore, but appreciate your answer!